Every September the Goodwood Revival recreates the golden era of the Goodwood Motor Circuit between 1948 and 1966. A theatrical and glamorous event it attracts some of the most significant racing cars and motorcycles of today and yesterday as well over 140,000 people for 3 days of exciting racing and exceptional entertainment. 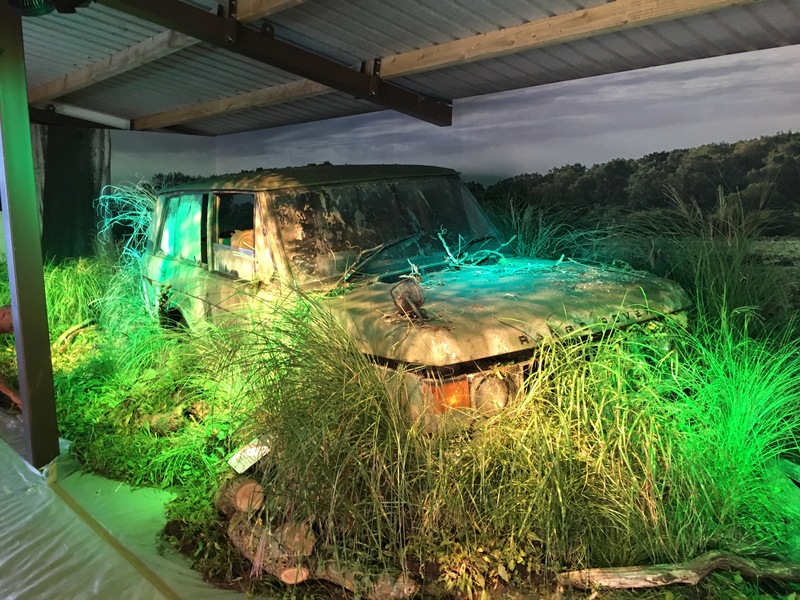 In 2016 Transform collaborated with ‘Branchout’ and ‘The Event Business’ to exhibit in the Orangery tent which was divided into 5 sections; Explorers, Land Rover augmented reality, Jaguar Showroom, Parts and Services and Land Rover live painting. Transform played a large role in the overall design layout and had a particularly heavy influence on the Parts and Services and Explorer sections. 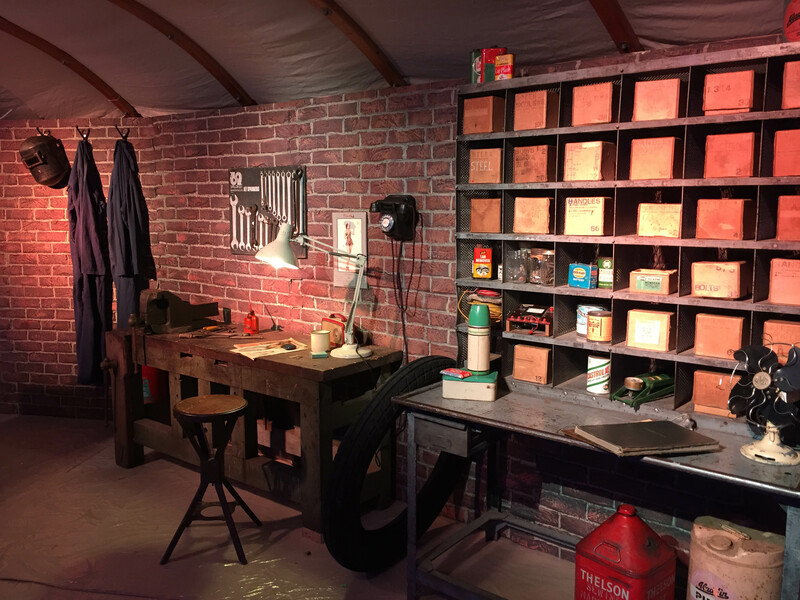 We installed hand painted brickwork flattage to create a ‘vintage industrial’ backdrop in Parts and Services, accompanied by original vintage garage props. 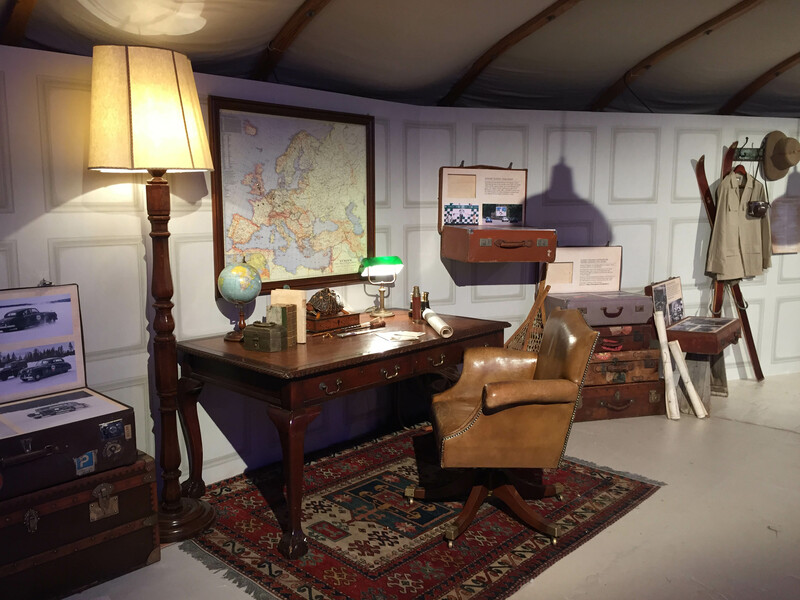 The media was displayed in vintage suitcases and designed to create the feel of Colonel Blashford-Snell contemplating his next adventure through darkest Africa. stunning Vintage wallpaper in the Explorers Office. Further to this in 2017, Transform created exhibits in the Big Red Barn, where the story of restoration was the prevailing theme. 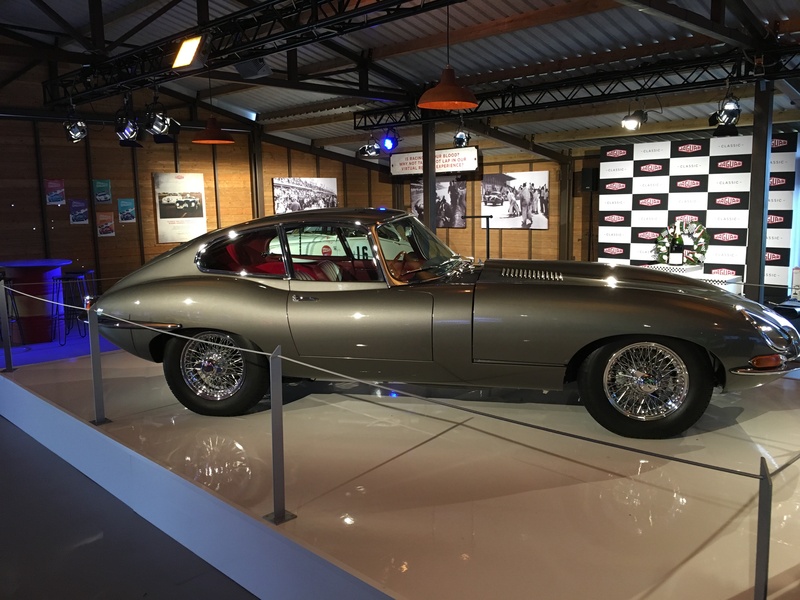 The interior was divided into several sections and our involvement included two exhibits showing an old neglected Land Rover and an E Type Jaguar that were able to be restored after many years with amazing results. Both these stories portrayed the message our client wanted highlighted, ‘that whatever the condition of the car, the Jaguar Land Rover Reborn program can (and will) rebuild it’. Finally, we also designed a Parts and Service garage which doubled as a sales platform for existing customers.